The Bayview Resort in Taba Heights, Egypt is home to a number of restaurants and dining options which provides guests with an abundance of choice. Experience the diversity from romantic candle lit dining at the Italian Tuscany to the enchanting atmosphere of the Grotto and the Mexican taste at El Fuego Café & Mexican Bar. Our Al Andalus restaurant is our main restaurant which offers international cuisine and is open for breakfast, lunch and dinner. 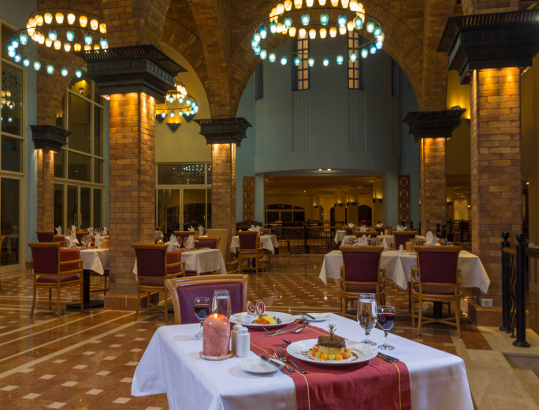 Guests can sample cuisine from around the globe at our Al Andalus restaurant buffet from Middle Eastern and Asian to Mexican, Chinese, and last but not least authentic Egyptian cuisine. 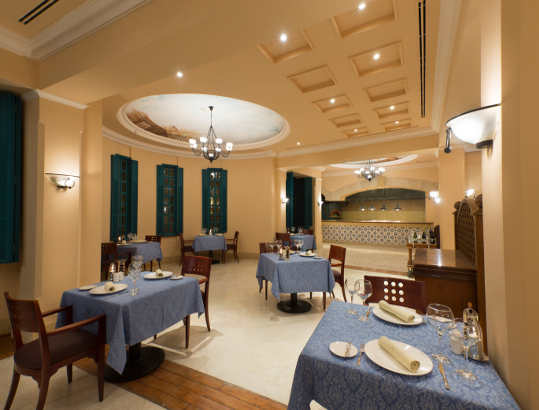 Ristorante Tuscany is our authentic Italian fine dining restaurant which offers delicious Tuscan cuisine. Let us transport you to Italy in this unique and romantic setting. Ristorante Tuscany is open for dinner only. 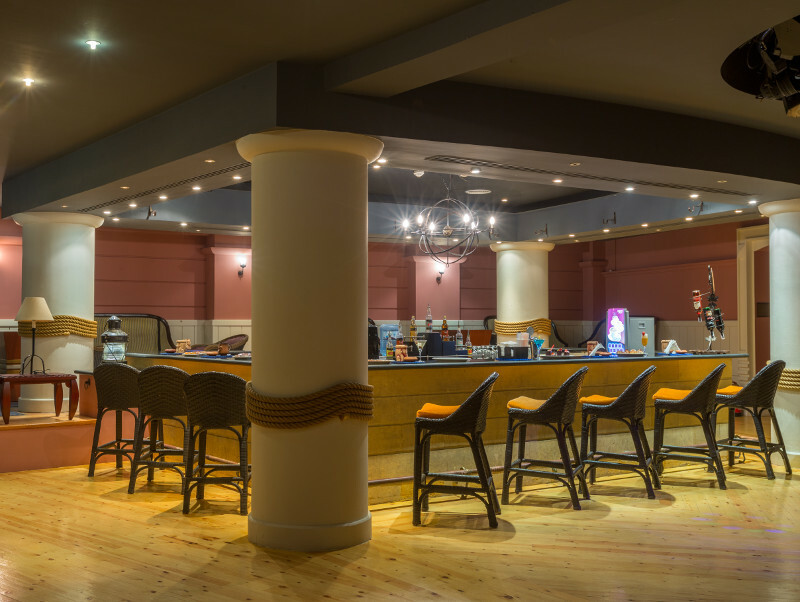 For a bit of fun and a chance to show off your dancing and singing skills, the Regatta Club is an eclectic place to have live entertainment, karaoke nights, and Egyptian folkloric shows and belly dancers,. You are sure to have a night to remember! Beautifully located on the Downtown terrace, The Sahar El Layaly captures the spirit and flavours of aromatic Lebanese cuisine. 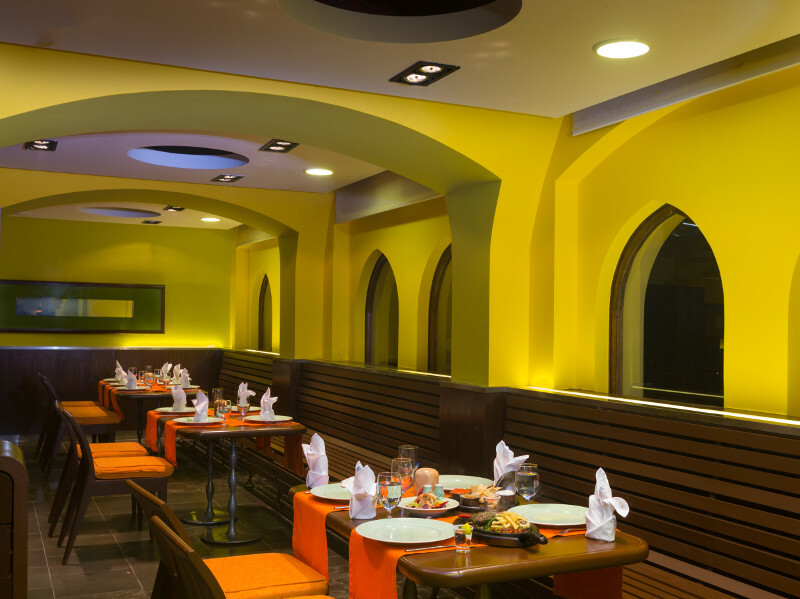 The Grotto Bar & Grill is our Middle Eastern restaurant and bar located on the swimming pool’s terrace. 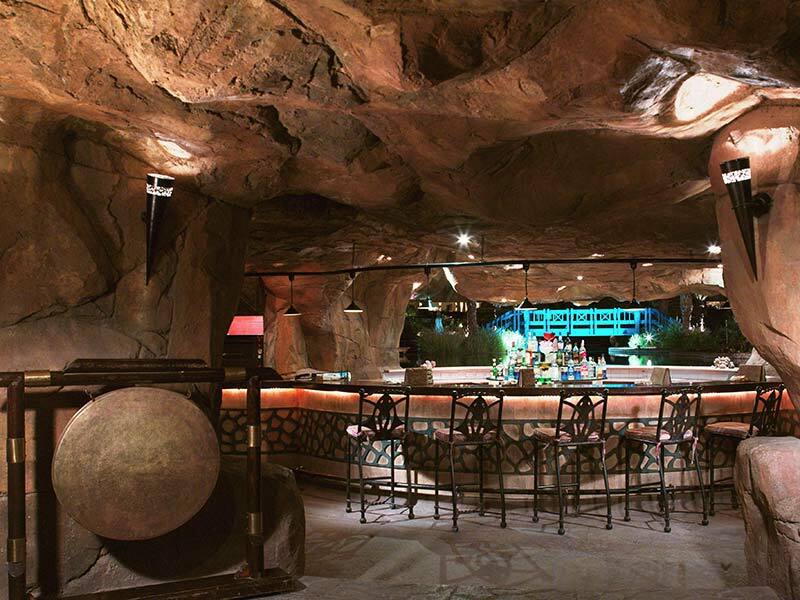 The Grotto Bar & Grill offers a la carte snacks, a barbecue menu and a variety of drinks. With indoor and outdoor seating with views of our lovely swimming pool, The Grotto Bar & Grill is a great place for day time eatery. Our Beach Bar offers International cuisine and great cocktails. A relaxing spot to enjoy a drink after a day by the beach. 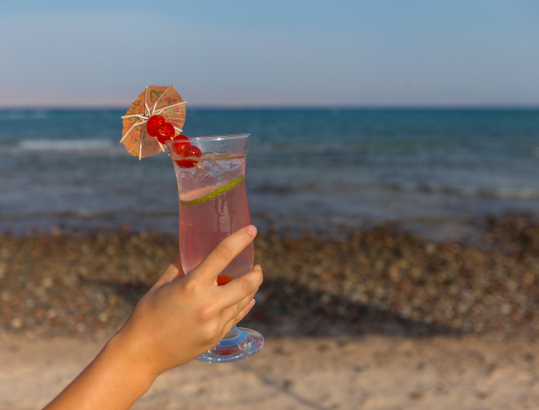 Sit back and admire the breathtaking views of The Red Sea at our beach bar. The Beach Bar is open for snacks and drinks during the day. 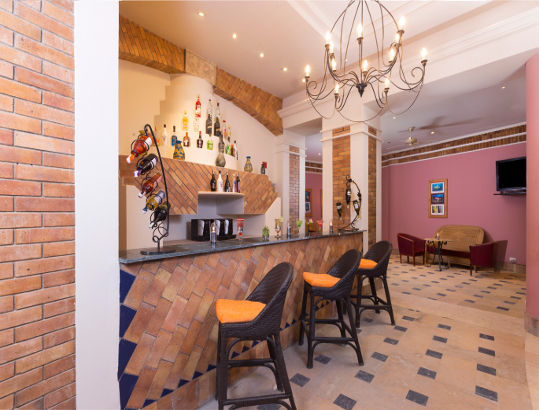 The only Mexican cafe and bar in Taba Heights, serving authentic Mexican food and drinks. With stunning view over the resort and the Gulf of Aqaba, this is the perfect place to finish off your day. Our elegant lobby lounge has a beautiful terrace which overlooks three countries across the Gulf of Aqaba. Unwind at our lobby lounge with a light snack or your favourite drink. The lobby lounge is open 24/7. 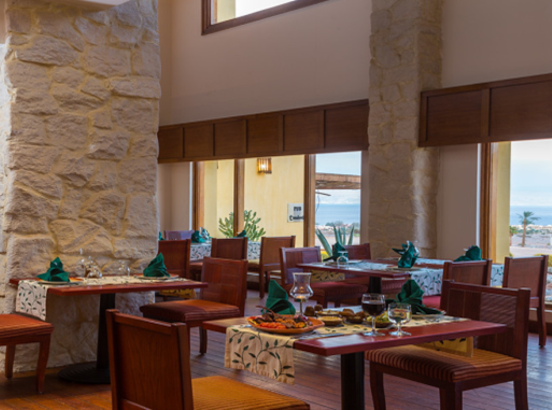 Because Holidays are all about new experiences, Taba Heights offers varied culinary options. 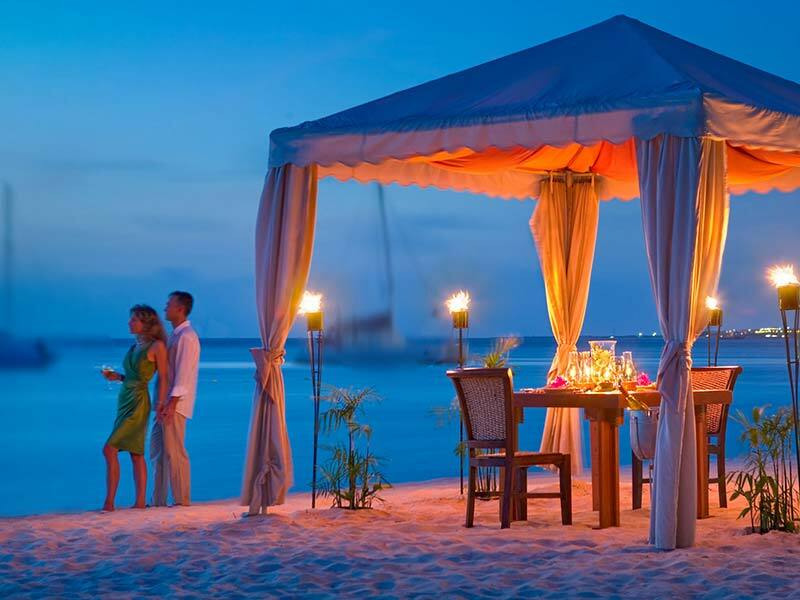 Take advantage of the Dine Around Privilege, a special dining scheme that allows guests to sample a wide variety of cuisines at any of the many hotel restaurants throughout the resort, regardless of your hotel of residence. Available to full paying adult patrons on any meal plan. Enjoy 25% discount on all a la carte food in any of the above restaurants. Alcoholic Beverage will be as per consumption with extra charge. Enjoy this offer unlimited times throughout your stay. Offer is per person and may be used at any participating outlet regardless of your hotel of residence. Prior reservation at the hotel reception from 01:00 till 03:00 PM is highly recommended. A free shuttle bus is available to transport you within the resort. For more information on the Dine Around privilege and shuttle bus timetable, please refer to your hotel’s front desk. Program may be suspended or altered without prior notice.